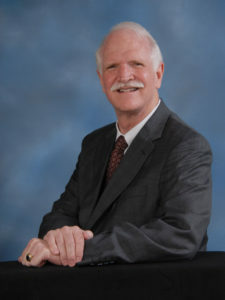 Attorney Ralph M. Hinman has been a practicing criminal defense attorney in Dalton and northwest Georgia for nearly 40 years and has represented thousands of people charged with criminal offenses. He is a graduate of Emory University and the Walter F. George School of Law at Mercer University. He was admitted to the State Bar of Georgia in 1981. Prior to entering private practice in 1987, Mr. Hinman worked for all three branches of state government: legislative, executive and judicial. He served as Legal Counsel to the State Senate Committee on Banking and Finance, as an Assistant Attorney General in Atlanta, and as an Assistant District Attorney for the Conasauga Judicial Circuit in northwest Georgia. He has also served as Judge Pro Tem of the Municipal Court of Dalton and the Whitfield County Probate Court. Mr. Hinman is a member of the Georgia Association of Criminal Defense Lawyers and the National College for DUI Defense. He is certified in the administration of field sobriety tests and on the Intoxilyzer 5000 breath testing machine. He is also licensed to practice in all Georgia trial and appellate courts, as well as federal trial and appellate courts and the Supreme Court of the United States. Ralph M. Hinman, Attorney at Law has been defending Dalton, Calhoun and Ringgold citizens for nearly 40 years. If you or someone you love has recently been accused of a criminal offense, call (706) 278-2488 now.